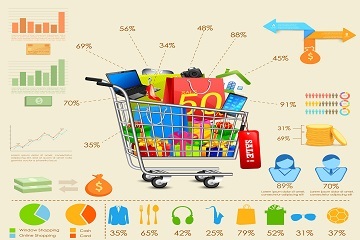 The retail industry has been undergoing a radical shift due to growth of hard-discount formats and e-commerce, increasing pressures on margin, slowdown in growth from larger CPG companies and emergence of big data and advanced analytics as a differentiating capability. Merilytics partners with retailers to provide deep insights and advanced analytical solutions that can help them optimize their Category Management, Assortment, Pricing, Promotions and Supply Chain Management. We dig deep into the transactional and third-party syndicated data to understand store traffic, basket analysis, consumer behaviors, competitive behavior, product price architecture, SKU performance, cannibalization, promotions effectiveness etc. These detailed insights help Retailers in developing a sustained competitive advantage, and generate superior returns.